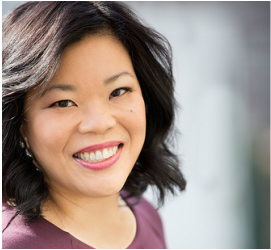 ​Audrey S. Lee is an executive coach and global leadership & diversity strategist, who consults with Fortune 500 companies to develop integrated leadership strategies that impact business practices throughout the organization. She expertly combines program facilitation, coaching, and leadership consulting practice with more than thirteen years of experience in marketing communications, product/program strategy, alliance and channel marketing. A seasoned stage performer of more than 20 years, she also integrates her on-stage experiences with her business and coaching strategies to create global programs that focus on effective communications and presentation skills. With her unique background, Audrey is a frequent speaker at international conferences, corporate initiatives, and community events. Her clients include professionals at Fortune 500 companies and entrepreneurial start-up enterprises, in a variety of industries including financial services, high-tech, media/communications, automotive and consumer products. She is the co-author of Hyun & Associates’ “Through the Bamboo Ceiling®” Training Series and other highly-acclaimed leadership initiatives. As a Certified Boardroom Bound ® Boardology™ Coach, she is also an advocate for building minority talent pipeline for corporate board roles. She is a graduate of Georgetown University’s Executive Certification Program in Leadership Coaching (accredited by the International Coaching Federation), and also holds degrees in Spanish and Music from Indiana University (Bloomington, IN). Audrey currently maintains her own leadership practice, and collaborates with Hyun & Associates as a Senior Consultant. Previously, she was Principal and Vice President of Hyun & Associates. Prior to her career in diversity and leadership development, she managed key marketing initiatives in small and large high technology companies such as Adaptec, Fujitsu Computer Products of America, Network Peripherals, Philips Semiconductors, Philips Components and Raychem. In 1999, she began her own marketing practice, working with clients in multimedia, storage solutions and application service provider (ASP) industries. A second-generation Chinese-American, she lives in New York City where she serves on the Advisory Board for the New York Asian Women’s Center (NYAWC), an organization that helps battered women overcome violence, and also works to raise public awareness about domestic violence, advocate for the rights of battered women, and create an agenda for social change. Renowned executive coaches and global leadership strategists offer lessons on the vital skill of “Flexing”—the art of switching leadership styles to more effectively work with people who are different from you. This critical skill allows managers to navigate successfully the diverse business environment of today and tomorrow. In order to be successful in this new global business environment, we need to re-think the way we lead and connect with others. Flex offers this new approach—a proactive strategy for managers to understand and leverage differences effectively in this new global economy. Understand the Power Gap, the social distance between you and those in the workplace of different cultures, ages, and gender. Flex your management style by stretching how you work and communicate with others. Bridge the gap with more effective communication and practical feedback tools. Creating flex in a company’s management style will impact all aspects of developing the talent you have, attracting future talent and building relationships with customers in this competitive marketplace. Flex will show you how.